MANILA, Philippines—Scientists from around the world will share the latest advances in controlling two devastating rice diseases during back-to-back international conferences in Manila. Rice blast, caused by Magnaporthe oryzae, and bacterial blight, caused by Xanthomonas oryzae pv. oryzae (Xoo), are two of the most serious diseases of rice. Breeders around the world are constantly seeking ways to effectively manage these scourges because they pose constant threats to sustainable production of rice that feeds more than half of the human population. The theme of IRBC07 is New Insights into the Rice-Magnaporthe oryzae interactions for better management of rice blast. The conference will cover recent advances in pathogen biology, genomics, host-pathogen interactions, resistance breeding, and disease management. 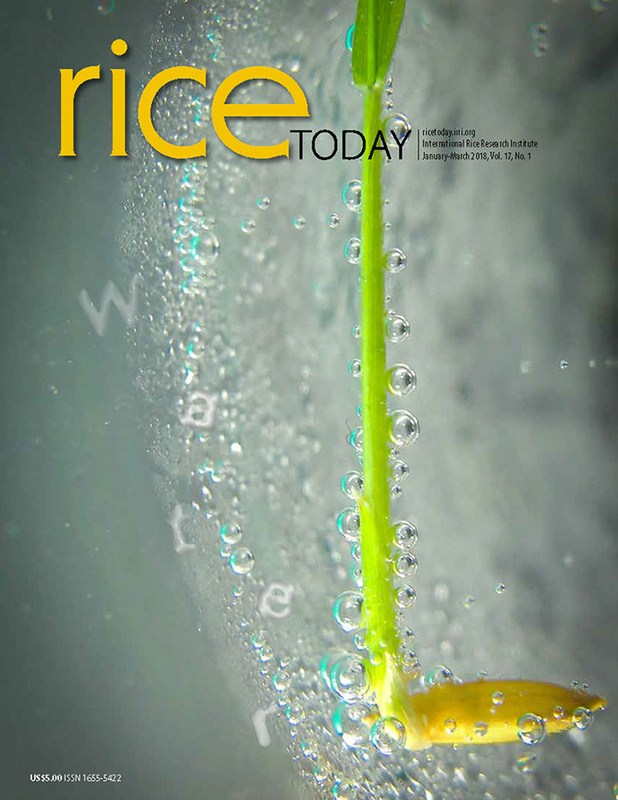 The theme of ICBB05 is Rice bacterial blight: innovations for the second Green Revolution. It will cover the global assessment of bacterial blight problems, its epidemiology and population biology, host resistance, breeding and molecular biology, disease management, multi-omic analysis of rice and Xoo, molecular plant-microbe interactions, and genome editing. “These events will be fantastic fora to exchange recent scientific advancements and foster collaborations on basic and applied research on both blast and bacterial blight,” said Dr. Hei Leung, head of the Genetics and Biotechnology division of the International Rice Research Institute (IRRI) and chair of IRBCO7. “The conferences can be important venues for IRRI to promote the international efforts to transform the advancements in understanding the interactions between rice and the diseases into sustainable diseases management," Leung added. "The strategy could help alleviate crop losses and curb environmental pollutions caused by pesticide misuse." During each conference, a special one-day program at IRRI headquarters will be arranged to give the participants an opportunity to meet different rice scientists and learn more about IRRI beyond its work on these two diseases. IRRI will also organize a bridging workshop on Rice Disease Management on 14-15 October for participants from national programs. “The workshop will focus on current status of rice diseases and their management because many of our national partners are working on these two diseases,” said Dr. Casiana Vera Cruz, IRRI plant pathologist and chair of ICBB05. These two international conferences are held every 3 years. This year, IRRI is serving as the local organizer for both events.